Do you tell yourself you are beautiful? I think it’s important to say positive messages to ourselves. I absolutely love the part on The Help when Aibileen tells the young girl in her care: “You is Kind, You is Smart, You is Important” It’s messages like these that we need to remember and tell ourselves every day, not messages that put ourselves down. 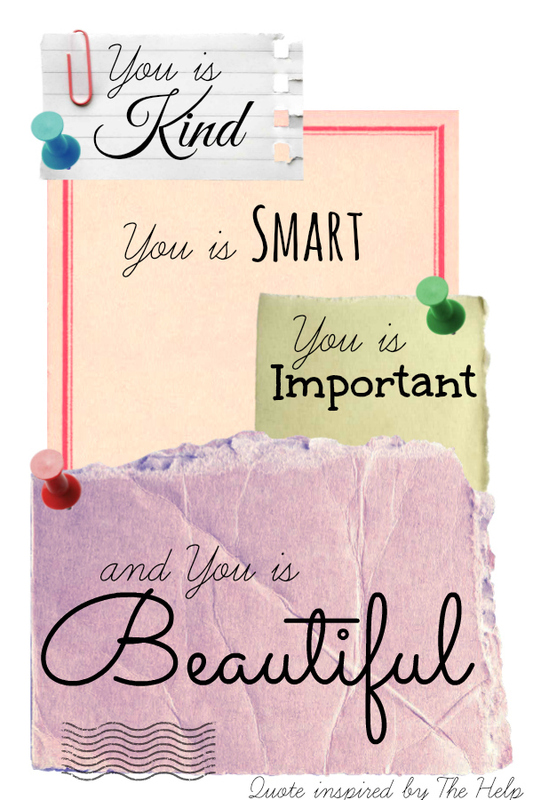 I think Aibileen could have added one more important message we all need to hear, though – that we are beautiful! I don’t know of any other brand that takes a stand to share the message of the beauty of women quite like Dove! They are always doing everything they can to instill that belief in women to be proud of who they are and feel beautiful! 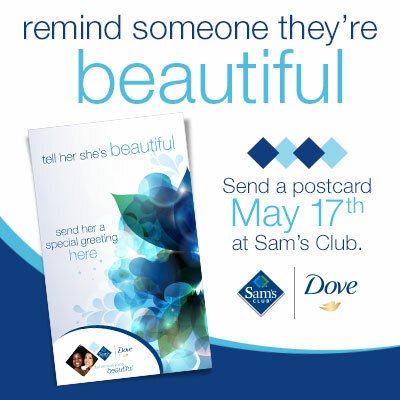 This weekend, May 17th, Sam’s Club will be hosting a Dove booth where you can send a postcard to someone to remind them that they are beautiful! While there, visit the Health and Beauty aisle to see all the variety of Dove® products available. Find a Sam’s Club near you to join in on the fun! Tell me, what is your favorite quality about yourself?